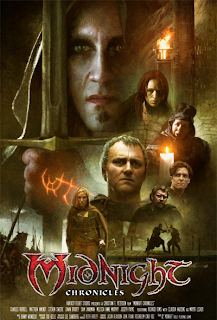 In September of 2009, Fantasy Flight Games released the Midnight Chronicles DVD. Midnight Chronicles is a first in the role playing game universe. 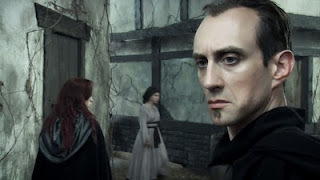 It is a serious Fantasy movie created by gamers for gamers and other fantasy fans. There have been Fantasy films created by gamers and for gamers in the past, but these were typically comedic affairs. Films like Dead Gentlemen's The Gamers substituted humor for production quality. It can be a winning formula, and certainly was for Dead Gentlemen, but it is also a formula that helps to maintain the stigma against films/television shows based on role playing game properties. There have also been Fantasy films targeted at gamers, but made by non-gamers. Courtney Solomon's retched Dungeons and Dragons film left a bad taste in the mouth of the gaming community and "proved" to Hollywood that RPG franchises weren't worthy of translation into film/TV franchises. Fantasy Flight Games' Midnight Chronicles is an attempt to reverse this bias, and an attempt to create an entertaining dark fantasy series. In order to achieve this goal, Fantasy Flight attempted the impossible. They attempted to make a Fantasy film with high production values on a shoe string independent film budget. The Midnight Chronicles film combines what are essentially the first two episodes of a spec pilot television series that would be based on the Midnight role playing game setting published by Fantasy Flight Games shortly after the release of the third edition of the Dungeons and Dragons roleplaying game. 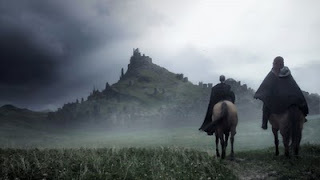 The Midnight setting takes the traditional Tolkien Fantasy outline where a Dark Lord's armies march against the world of men in order to subjugate the masses and adds an interesting what if to the equation. In the typical Tolkien tradition tale, a band of heroes join together to foil the Dark Lord's plan and save civilization from his rule. Midnight asked the question, "What if the heroes of a particular age decided to side with the Dark Lord rather than resist?" The answer is that the Dark Lord wins and the world becomes a much worse place to live. This is the world of Midnight, a world where it has been 100 years since the Shadow fell. The world is now ruled by the Dark Lord. It is a world without heroes and largely without hope. When Fantasy Flight first began developing Midnight Chronicles, they had hoped to create a high quality and entertaining Fantasy film that would be picked up as a television series, or be successful enough on its own to warrant further investment by the company itself. I don't know where they stand with regard to the last two goals, but I can say that they succeeded in their initial goal. Midnight Chronicles far exceeded my initial expectations. I had expected a film that looked amateurish, had poor writing, a distracting and sub-par score, and had terrible acting. At best, I expected a movie that looked as good as a quality film school project. Midnight Chronicles is markedly better than either of these expectations. The movie falls somewhere between the Syfy Original film and a Sam Raimi production like Legend of the Seeker in overall production quality. Midnight Chronicles is what I would classify as a "good pilot." This does mean that the "movie" ends in a less than satisfactory manner. Since this is two episodes of a continuing narrative, there is no real sense of closure at the end of the DVD. I sincerely hope that Fantasy Flight has enough success with this project to continue the tale. The story, while not "original," contains enough narrative arcs to maintain viewer interest and to leave one wanting more when the film ends. The strongest storylines are those surrounding the Legate Mag Kiln (faithful servant of the Dark Lord Izrador) and Morrec (the Robin Hood-esque "hunter" whose raids are delaying the completion of a temple to Izrador). The story regarding the legend of a possible savior of the land was far less interesting. The acting is mixed, but some of the performances are quite good. Charles Hubbell is excellent as the Legate Mag Kiln. 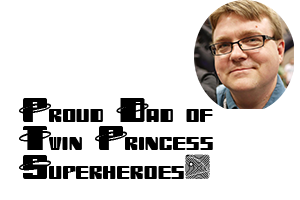 Matthew Amendt is less satisfactory as Gaelan, the foretold champion of justice. The film's acting largely avoids the awful overacting that can accompany Fantasy acting. It doesn't entirely avoid the pitfall, but it does largely avoid it. The camera work and effects are good enough to sustain suspension of disbelief, sometimes they are event striking. The fight choreography is mixed, as is the costuming/makeup. The movie definitely shows some "fraying" around the edges, but it is good enough to watch on repeated occasions. In comparison to other films in the RPG film genre, Midnight Chronicles is in a class of its own. It is significantly better than either Dungeons and Dragons movie, both of which had larger budgets.Midnight Chronicles is an exhibition of what relatively inexperienced people are capable of producing when they take their subject seriously. When one considers the scope of what Fantasy Flight was able to achieve, and on what budget, it is quite impressive. I highly recommend this film to any gamer, but I also think that non-gamer Fantasy fans will have a good time with the film as well. At $14.99, it's a bargain. Midnight Chronicles far exceeded my initial expectations. I had expected a film that looked amateurish, had poor writing, a distracting and sub-par score, and had terrible acting. Which, it turns out, describes the movie pretty darn well.